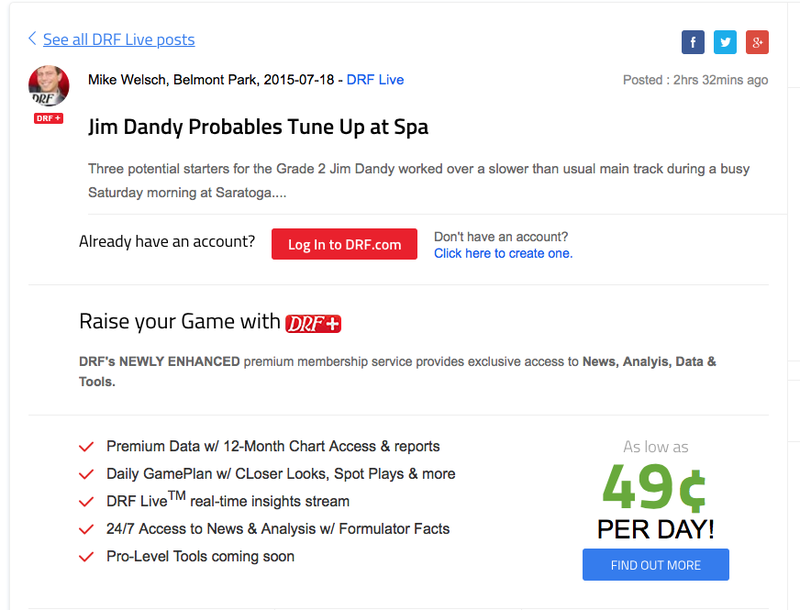 Much grumbling has been made since the Daily Racing Form put most of the newish DRF Live section behind their paywall. And it exacerbates an existing issue – that there are too many clicks if you’re not already logged in. That bit of friction — daily login, repeated browser login, in-app logins — forces your users to ask each time, is this content worth it? While I don’t know the implementation particulars, in general it’s a pretty easy problem to solve. And, it’s widely used interaction pattern. If you’re on Amazon and you want to view your cart, you’re given a log-in screen, not a screen that says “you have to log-in” that makes you click to another screen with the log-in form. 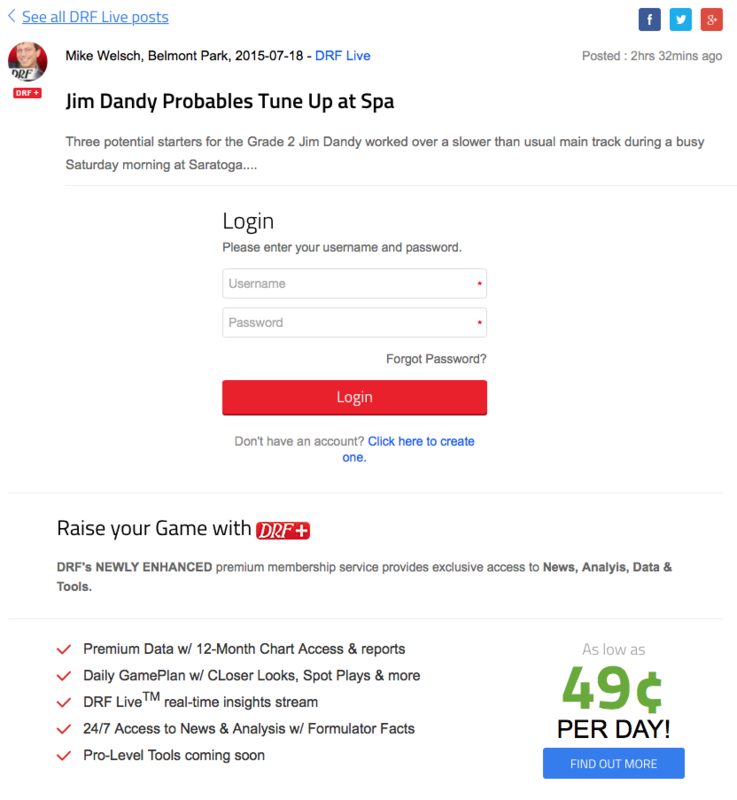 Why not put the log-in form right on the landing page? Implementation concerns aside (meaning it might require a decent amount of development work), a fairly straight-forward change like this might make the paywall pill easier to swallow. And who knows, they might already be working on something this or at least have it on the radar. They do seem to be making incremental changes with some frequency. I like the overall direction of DRF’s visual design, but as a customer I’d love to see them raise their user experience game, so to speak.